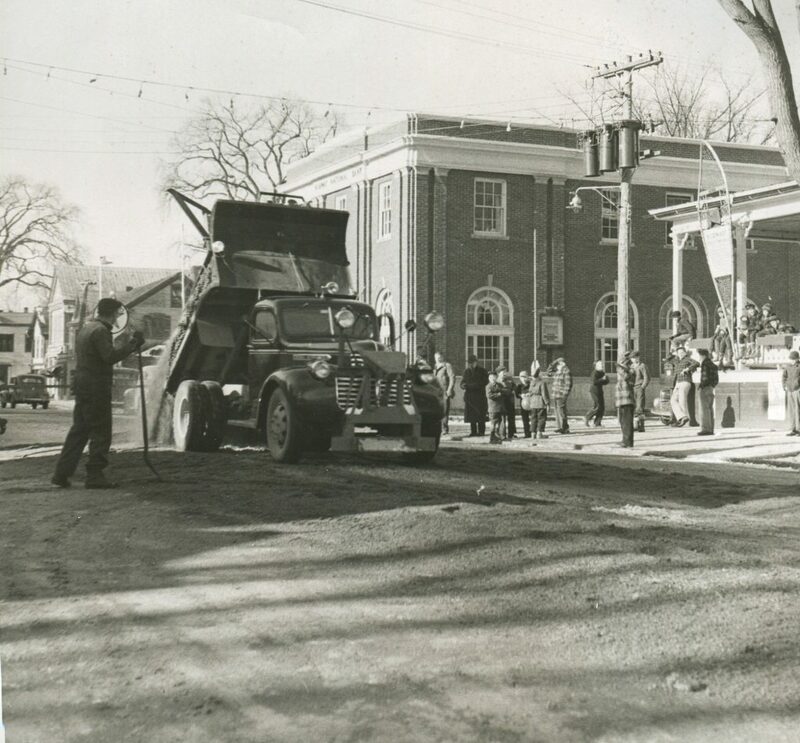 In January 1949, a winter festival was held on Main Street. 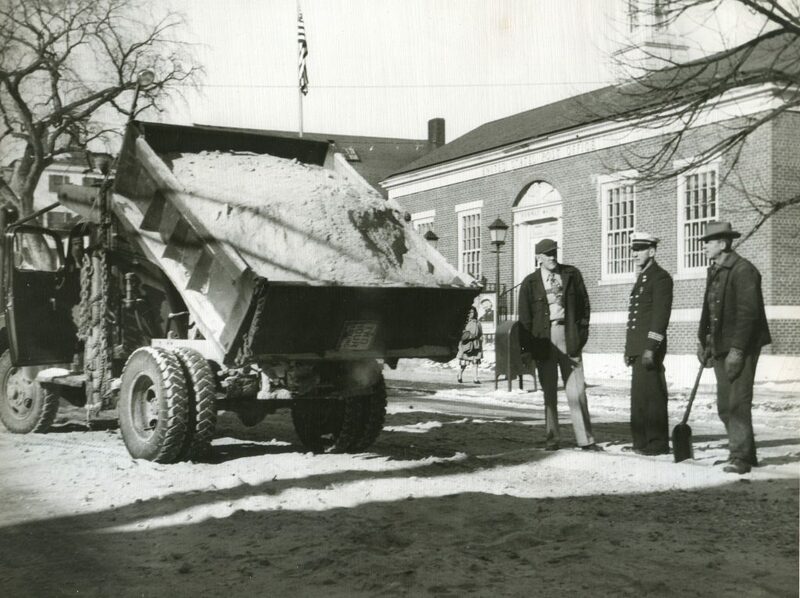 Because there was so little snow, the event made national news when many truckloads of sawdust from the C.B. 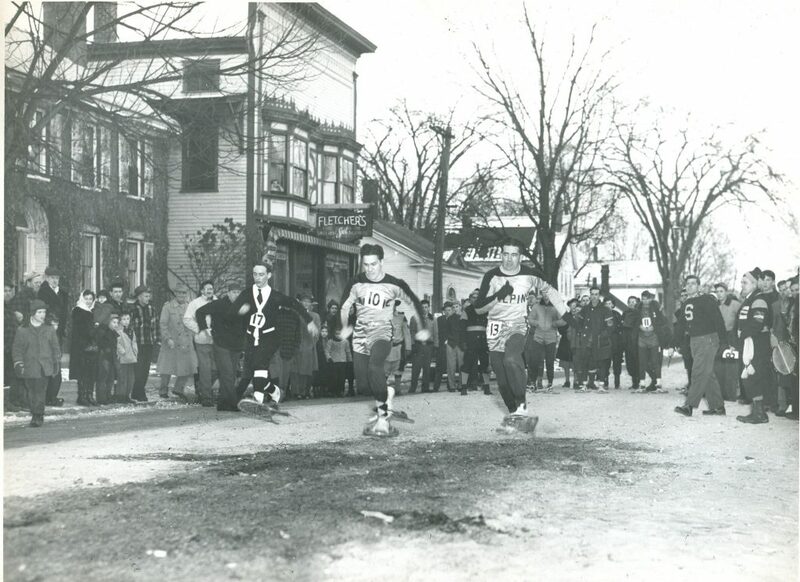 Cummings mill covered the street between Lynn and Cottage Streets in order to run snowshoe races of various lengths. 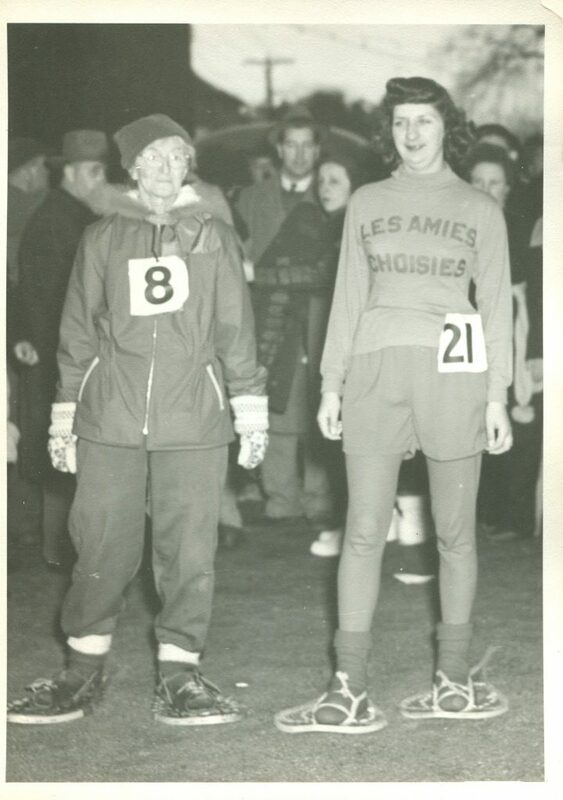 Snowshoe clubs from the northeast and even from Montreal competed in events. 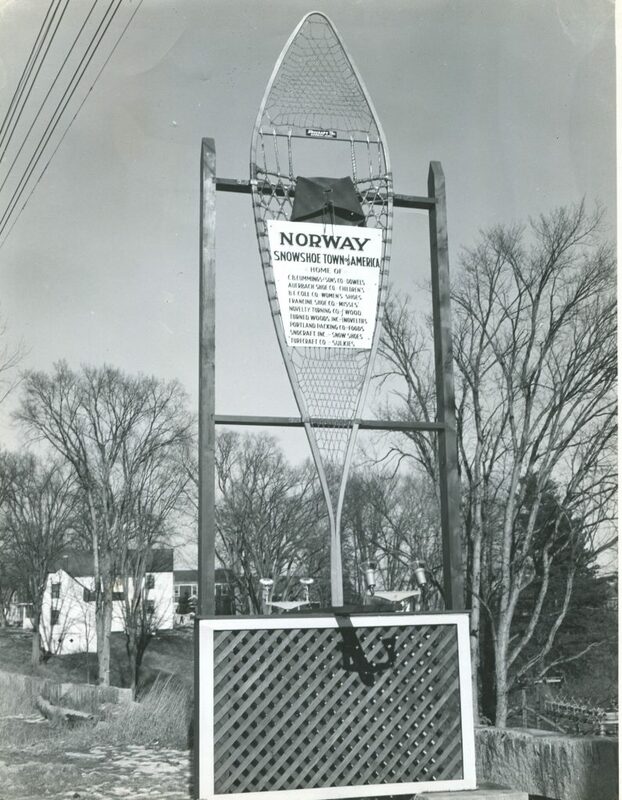 A landmark giant snowshoe, symbolic of Norway’s designation as the “Snowshoe Capital of the World,” was dedicated for the festival. 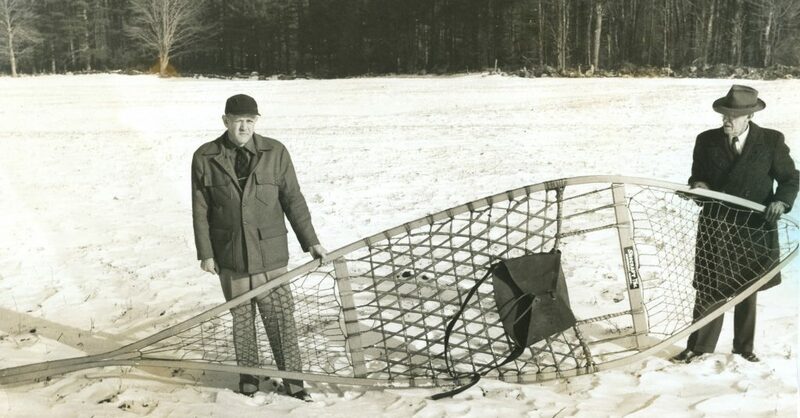 The locally made Snocraft snowshoe, given by Snocraft, Inc. president Homer Aldrich, stood for many years afterward near the intersection of Fair and Lower Main Streets. The giant snowshoe, just north of the bridge on Lower Main Street. Perspective of the snowshoe’s height. 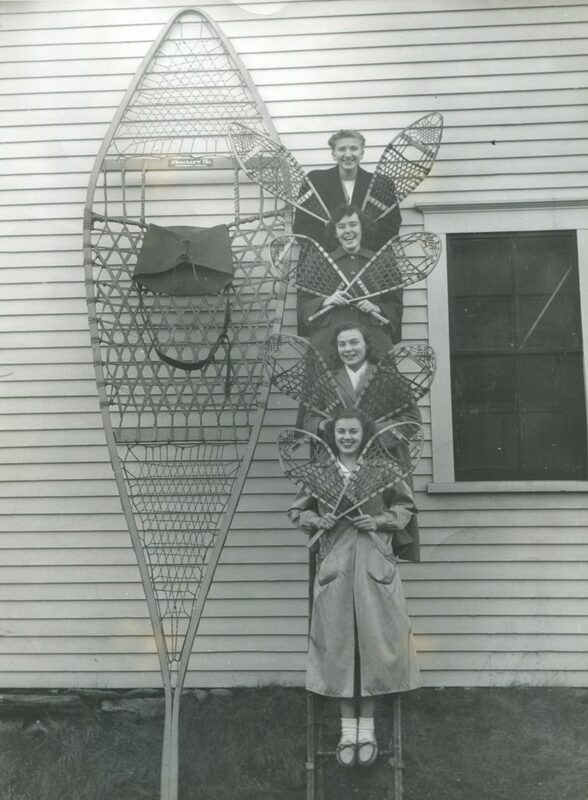 Top to bottom: Nancy Luce, Elizabeth Newcomb, Jeanette Thurston, Connie Twitchell. Photo by Jack Quinn. Town Manager Allen Wilcox (L) and Snocraft president Homer Aldrich. Photo by Harry Packard. 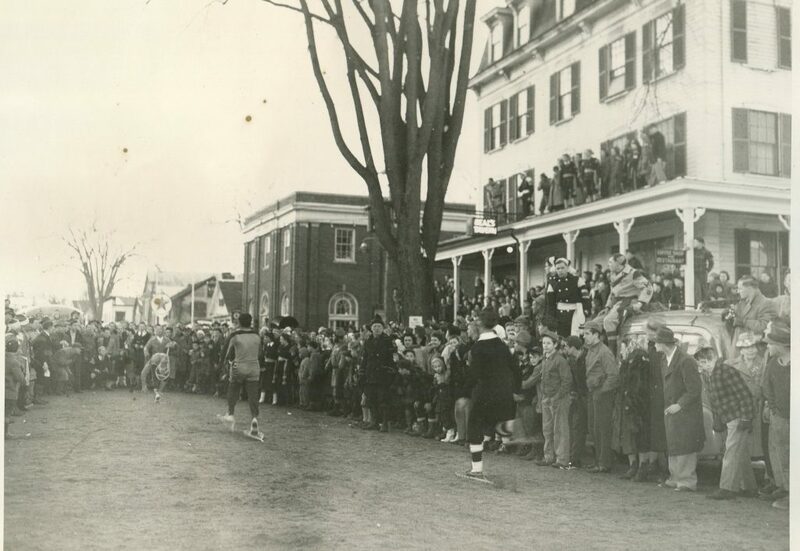 Nine competitors walked the 22 miles from Lewiston before competing in the races. One of this group won the women’s 60 yard dash. After their day at the festival, two Lewiston men continued on their way on a snowshoe trek to Montreal. 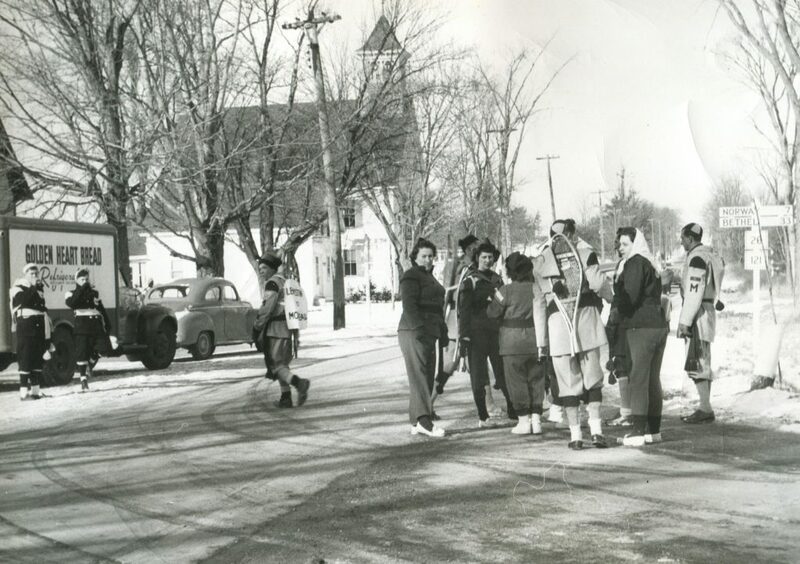 The Lewiston contingent on their way to Norway, resting in Welchville. Leaving the starting line at Danforth Street. Approaching the finish line at Cottage Street. age 70, waiting to start her race. 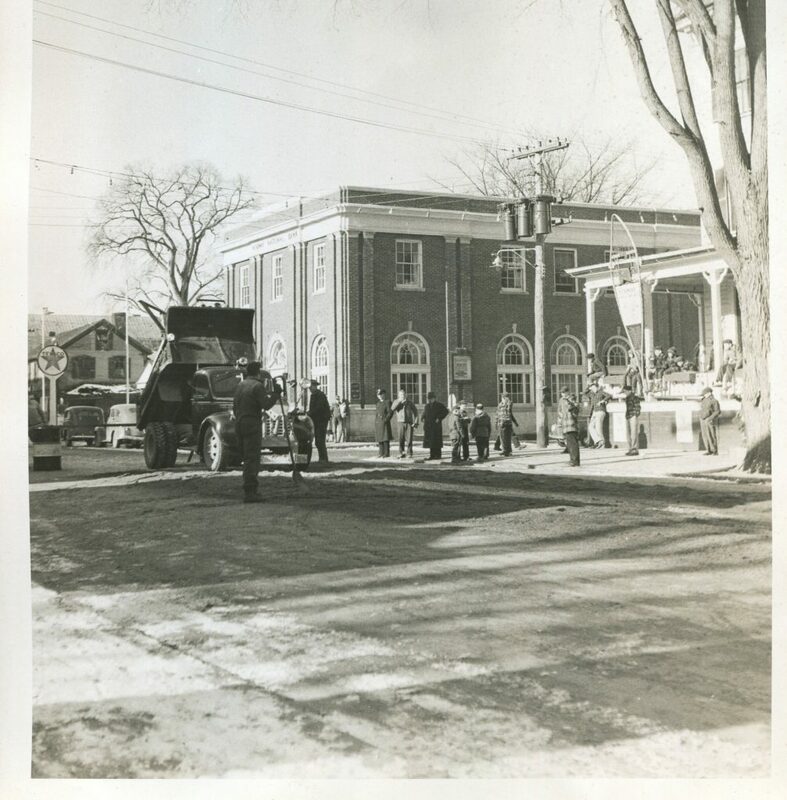 These photographs are part of a collection donated to the society by George Wilcox, in memory of his father Allen L. Wilcox, Norway’s Town Manager from 1947 to 1951. Photos without specific credit were probably taken by Jack Quinn.